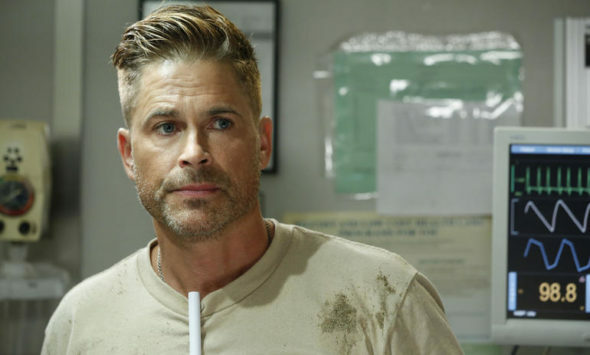 “I thought it would save lives and it did.” CBS has released a new preview for season two of Code Black featuring Rob Lowe. The medical drama takes place in a Los Angeles ER where underfunding and understaffing pile huge pressures on its staff. The cast includes Marcia Gay Harden, Raza Jaffrey, Bonnie Somerville, Melanie Chandra, William Allen Young, Harry Ford, Benjamin Hollingsworth, and Luis Guzman. In season two, Lowe will play a military surgeon joining the hospital staff after spending time in Afghanistan. The new season of Code Black debuts on September 28th. What do you think? Have you seen Code Black? Will you watch the new season? I’m elated to learn Code Black will be back! I find few series that I can fully engage in, and sometimes it seems like my liking a show is the kiss of death. So I will be impatiently waiting for season 2 to begin. Very interesting, I commented on this awhile ago, yet it does not seem to be posted! Was my critique of the new pretty boy too harsh???? I guess so!! !